Arrive at the Dubrovnik Airport. Transfer to the hotel and check-in. Soak in the old world charm of this beautiful city, have your dinner and enjoy a comfortable overnight stay in Dubrovnik. After a delicious breakfast, meet in the lobby and check-out. Head for a morning sightseeing tour of Dubrovnik. Visit the Franciscan Monastery, the Rector’s Palace and the Cathedral. In the afternoon, depart for Split. Drive along the Adriatic Coast and the Neretva River Delta. 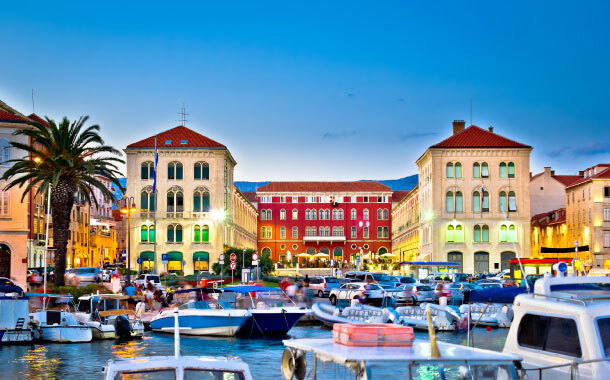 Check in to your hotel, savour the local dinner and spend a peaceful overnight in your hotel in Split. Start your day with a scrumptious breakfast and check-out. Proceed on the sightseeing tour of Split. Visit the Diocletian’s Palace, the Jupiter’s Temple and the Cathedral. After the city tour, leave for Trogir - a picturesque mediaeval town to visit the Cathedral of St. Lawrence. After an eventful day, check-in to your hotel in Zadar and enjoy a scrumptious dinner. Spend a peaceful overnight stay in your hotel in Zadar. Have a hearty breakfast ansd check-out. Proceed on the sightseeing tour of Zadar. Visit the Roman Forum and St. Donatus Church, a magnificent monument of Romanesque architecture. 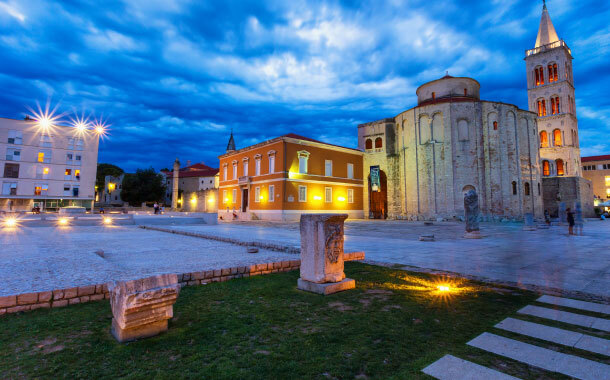 Take in the archaeological and monumental riches of ancient and medieval times as you drive past Zadar. 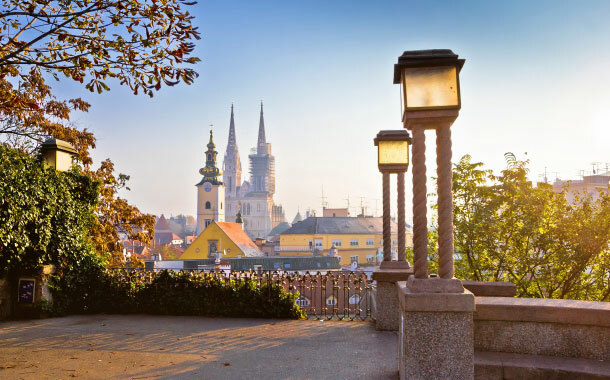 In the afternoon, head to Zagreb, the capital of Croatia. On arrival, relish a local dinner. Transfer to your hotel in Zagreb and check-in for an overnight stay. Savour your breakfast and check-in. Embark on a city tour of Zagreb. Visit the fortified Upper Town - city’s historical centre, St Mark’s Church, the Cathedral, the Croatian National Theatre and the University. Then depart for Plitvice, a forest reserve in Central Croatia. Check-in to your hotel and enjoy a local dinner. Enjoy a blissful overnight stay in your hotel in Plitvice. After breakfast, tour the Plitvice Lakes National Park. Be amazed by the mesmerising lakes, cascading waterfalls and dense forests. Relish a sumptuous dinner and spend a peaceful overnight stay in Plitvice. After breakfast, check out and depart for Dubrovnik. 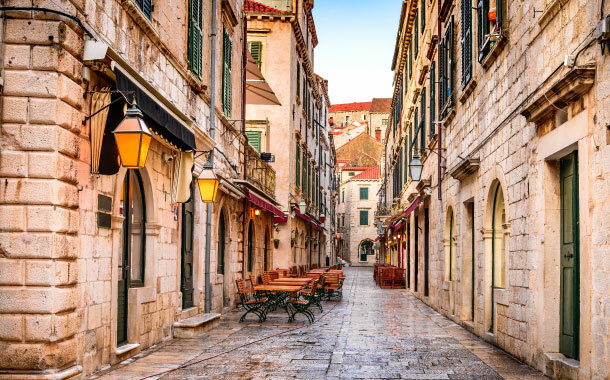 On arrival, dine at a local restaurant and check-in to your accommodation for an overnight stay in Dubrovnik. After breakfast, check-out of the hotel. Proceed to the Dubrovnik Airport and board your flight. Conclude your trip with beautiful memories of your trip. Above prices are valid September 15, 2017. Standard international check in time in Europe is 1500hrs and check out time is 1000hrs. Supplement for guaranteed early check in / late check out on. The above escorted coach departures are subject to availability. In the event the requested departure is not operating, an alternate date based on availability will be recommended.